Support Students & Faculty at LVC! Lebanon Valley College is a private, coeducational college founded in 1866 and dedicated to the liberal arts. 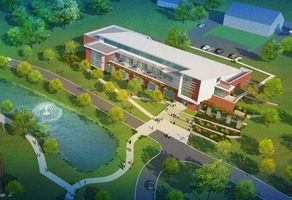 The College offers more than 40 undergraduate majors plus self-designed majors and a range of minors, concentrations, and pre-professional options, as well as graduate degree programs in athletic training, business administration, music education, physical therapy, and science education. 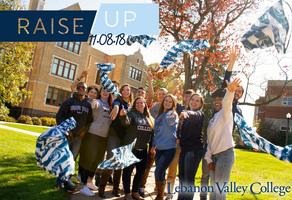 Support the LVC Class of 2019 with a gift to the No Hassle Tassel campaign! Support the LVC student service trip to the Dominican Republic. Gifts to the Blue & White Club will help enhance the athletic experience for the Flying Dutchmen! 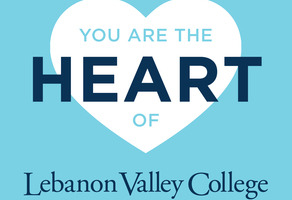 Share your gratitude during The Valley's Heart of LVC season. Say Thank You to someone at LVC who made a difference in your life. Every Donor Counts...Every Dollar Makes a Difference! Support the LVC VALE Conference featuring women in the media industries! The Jeanne and Edward H. Arnold Health Professions Pavilion​ will open in summer 2018, and we need your support! 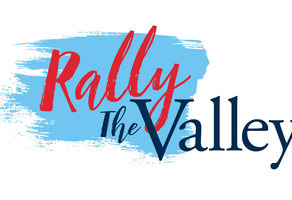 Help Rally The Valley with a gift to the Annual Fund! Connect with other Dutchmen on GiveCampus!